At Bridge Communities, the children in the Transitional Housing Program are just as important to us as their parents. We care deeply about their success and well-being, and that’s why Bridge children at any grade level can be connected to a tutor, who will work them weekly and help with their studies. “A” is just one such child. When she and her mom entered the Bridge program in 2011, she had fallen behind in school and needed some extra help. She was paired with Bridge tutor Sharon, who saw the potential in A. She’s helped her understand her schoolwork, improved her reading and math skills, and boosted her confidence. 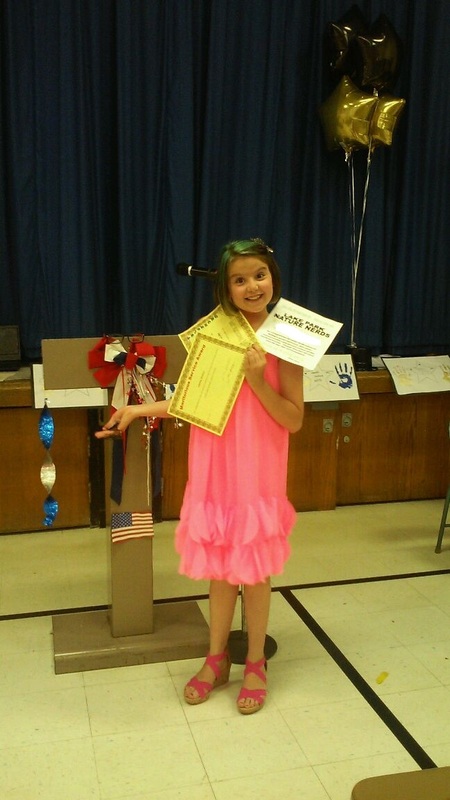 At the end of this past school year, A graduated from fifth grade, earning THREE awards: the Musical Award for playing the violin; the Nature Nerds Award, and a Merit Service Award. Thanks to the foundation her tutor Sharon helped build, we’re sure she is going to do a fantastic job in middle school, too. Would you like to volunteer as Bridge tutor and help kids just like A? Visit www.bridgecommunities.org/Support-us/Become-a-Tutor.html to learn more!